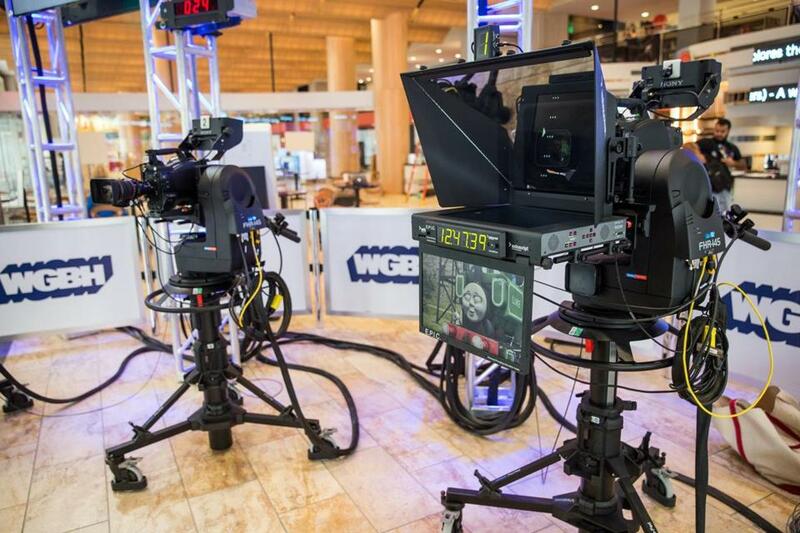 Remotely operated cameras at new WGBH Studio at the Boston Public Library. WGBH and Channel 7 owner Ed Ansin are among eight Boston-area broadcasters receiving multimillion-dollar windfalls from a government-brokered auction of nearly 1,000 broadcast frequencies sought by wireless carriers, the Federal Communications Commission disclosed Thursday. WGBH, the public media organization, will receive $218.7 million in exchange for moving the over-the-air signals of its WGBH and WGBY stations from frequencies on the UHF band to the VHF band. The two stations broadcast from Boston and Springfield respectively. Meanwhile, Ansin sold the broadcast signal for WLVI-TV (Channel 56) for $162 million. The veteran broadcaster has said he will continue to operate WLVI, which airs the CW network, in a channel-share arrangement with another station he owns, WHDH-TV (Channel 7). The FCC auction has been years in the making and yielded a bonanza for the 175 station owners that participated nationwide, and for the federal government itself. Wireless companies, which are hungry for additional spectrum to serve fast-growing mobile networks, are paying $19.8 billion for the broadcast frequencies. The station owners will get a little more than half of that while another $7.3 billion will be used to reduce the federal budget deficit. “This auction was really driven by the increase in mobile video and other data-hogging apps on smartphones,” said Justin Nielson, a broadcast industry analyst for S&P Global Market Intelligence. “The biggest crunch is in the large urban areas,” where stations with the highest quality signals fetched the highest prices. Dozens of television stations around the country have agreed to sell their frequencies on the broadcast spectrum to wireless companies. Viewers probably won’t notice many changes, as the stations will probably remain on their same channel locations on cable and satellite services, while those who watch television using over-the-air antennas may need to “rescan” the airwaves to find the relocated channels at their new frequencies. Those with UHF-only antennas will need to buy new hardware for shifting to VHF. For public broadcasters, the payday comes as President Trump has threatened to massively cut federal funding to their industry. The $218.7 million that the WGBH Educational Foundation will get equals about one year of the nonprofit company’s current operating budget. “We felt the spectrum auction was a unique opportunity, knowing we could continue to provide all of our public media services to viewers, and simultaneously support and strengthen this valued organization,” Richard Burnes, chair of WGBH’s board of trustees, said. WGBH officials said they intend to put the money into its endowment with the aim of funding a larger portion of its annual expenses from investment proceeds. That will help the broadcaster “expand its educational services to children and students, further its in-depth journalism, and strengthen its modest endowment,” WGBH said in a statement. A third station owned by the foundation, WGBX 44 in Boston, wasn’t sold in the auction, but will probably need to change its signal anyway, as the FCC wants to relocate remaining UHF channels into lower frequencies to free up even more spectrum. 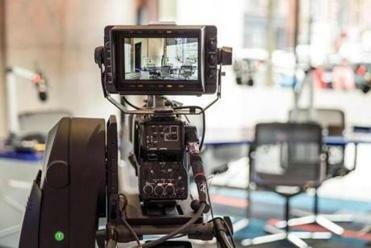 WGBH and other broadcasters that are changing frequencies can draw from a federal fund to pay for new equipment and labor needed to make the switch. Only a few of the stations that sold frequencies will go off the air. The rest will either relocate to another frequency, or enter into a channel-sharing arrangement, such as what Ansin is doing with his two stations. Both WLVI and WHDH will continue to run their own programming. The CW on Channel 56 is popular for shows such as “Supergirl” and “The Vampire Diaries.” WHDH was once the local NBC affiliate, but in January became an independent news-focused station after a bitter split with the national network. The auction also has implications for the new NBC Boston station that launched in the wake of the WHDH divorce. In December, facing criticism that its over-the-air signal was too weak, NBC Boston bolstered its signal by also broadcasting over the WMFP (Channel 62) transmitter in Needham. But now, the Texas firm that owns WMFP has agreed to sell that frequency for $93.7 million and go off the air. Nationally, the most expensive sale was in Chicago, where WWTO, owned by religious broadcaster Trinity Broadcasting Network, will receive $304 million for its broadcast signal and will go off the air. New Jersey Public Broadcasting, meanwhile, is due $332 million for relocating two stations. Among the big spenders in the auction was T-Mobile, which bid the largest amount — almost $8 billion — for access to the additional space on the spectrum. Dish Network bid the second most with $6.2 billion, while Comcast Corp. said it bid $1.7 billion. The agency must now work out the details and timing of relocating and assigning channels to their new frequencies. The auction also brought huge sums to the owners of relatively obscure local stations. For example, WYDN, a Christian station owned by the Texas-based Daystar network that broadcast out of Needham, agreed to go off the air for a staggering $135 million. A Daystar executive did not immediately return requests for comment; it’s unclear whether the station will cease operating altogether or share a channel with another broadcaster. Other stations going off the air include WDPX, a Martha’s Vineyard-based repeater of Ion Television’s WBPX station in Boston that won $43.5 million, and WBIN, an independent station in Derry, N.H., owned by Carlisle One Media. Neither company returned calls seeking comment. Nielsen, the S&P broadcast analyst, said some of the stations were recently bought by speculators who bought in advance of the auction, and in many cases tripled or quadrupled their money. Shirley Leung and Katheleen Conti contributed to this report. Material from Globe wire services was also used. Dan Adams can be reached at daniel.adams@globe.com.